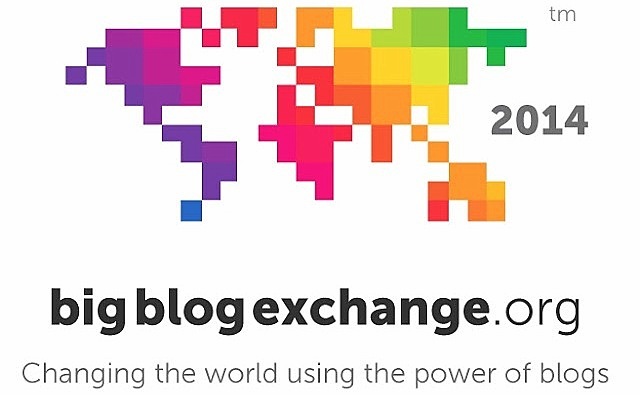 Two months ago, I wrote a post about my winning the Big Blog Exchange (BBE) 2014 organised by Hostelling International. In it, I described how I felt (and reacted) when I learnt that, together with 15 other bloggers from around the world, I'd won the competition. Having now returned from my most eye-opening exchange to Argentina, I thought it apt that I should share with everyone why winning the BBE meant so much to me. It is also my hope that this post will serve as humble motivation for those who didn't succeed in either this or last year's competition to try (and try) again and not give up. Here's why winning the Big Blog Exchange 2014 exposed wide open the emotional side of me. 1. I PERSEVERED. For a brief period after BBE 2013 and after failing to even make the finals last year, I was left exasperated - disheartened even - from the battle and indeed was apprehensive about joining this year's competition (in fact, I'd told a fellow Malaysian blogger that I probably wouldn't). Deep down, however, I always knew throwing in the towel was never going to be an option. A 10-day overseas cultural exchange was too massive and meaningful a prize to forgo without putting up a good fight, however you look at it. So, soon after my elimination from last year's BBE (I didn't even wait for the exchanges to start), I prepped myself (and my blog of course) for another go at this year's competition. I was determined to win the BBE at some stage. 2. I WORKED HARD. For more than a year, I worked really hard to improve my blog in preparation for BBE 2014. I open-mindedly thought over my site vis-a-vis those of last year's winners - even those of some of world's most popular bloggers. I revamped my blog's layout where I felt there were flaws, revisited my writing style, rethought the things I'd write about (without losing my own identity of course), dedicated considerably more time to the activity and, through social media, worked hard to widen the reach of my blog. I also punctiliously made sure my posts were as interesting and, more importantly, as engaging as possible. In short, I reinvented myself as a blogger in the hope of going one - or even two - better in this year's competition. Time is of the essence in any contest, and when BBE 2014 kicked off in July, I duly joined on its second day - my confidence and optimism significantly higher than they were last year. 3. I REALLY WANTED THIS. If, like me, you have an earnest desire to learn about and experience unfamiliar cultures, then giving the Big Blog Exchange a shot (or another shot) really is a no-brainer. Indeed off the top of my head, I struggle to name another blogging competition that offers a prize as generous as an all-expenses paid trip to a foreign destination complete with itineraries that promise maximum exposure to the country, her people and her culture. Being the curious guy that I am, I couldn't let such a grand opportunity pass me by without giving it another shot. After all, all I had to do was share my daily experiences with the rest of the world through my photographs and, of course, my writing. I wanted this; I wanted this so bad. My recent exchange to Argentina was so culturally- and intellectually-enriching that I feel I must share my journey in the Big Blog Exchange with all of you. The road for me has been a long and occasionally arduous one. But as with most things in life, hard work and perseverance usually pay. I mean, just imagine... Argentina. In fact, winners can look forward to exchanges anywhere in the world; Iceland, New Zealand, Switzerland, Peru or even Japan. I'm nearly 50; I work 14 hours a day, six days a week and have only 250 blog followers to my name - pittance compared to many of you. Hence, if I can win the Big Blog Exchange, so can you. At the end of the day, it all comes down to how much time and effort you're willing to put into your blog and into the competition. It's also about how you project yourself to the judges through your work. Above all, it's about how much you genuinely want to be part of the BBE project and how much heart you're willing to put in to achieve this end. The wonderful thing about the Big Blog Exchange is that it's open to all bloggers regardless of age, blogging experience or following. So do keep an eye out for next year's competition by regularly visiting either Hostelling International's official website or the BBE website for the latest news and announcements. Remember, if this ol' fella - a mere hobbyist blogger - can do it, SO CAN YOU! Thanks for this thoughtful post, Vincent! I'm not going to lie -- reading of your and the other bloggers' Big Blog Exchange adventures has had me fleetingly dreaming of the opportunity to participate myself. It's motivating to hear your behind-the-scenes story. I'm so glad that all of your hard work paid off. As an engaging writer with a consistently positive and open-minded attitude, you represented Malaysia admirably! Thank you so much for your kind words; most encouraging. The BBE offers a TRUE once-in-a-lifetime experience that everyone should experience. For that reason alone, I encourage you to enter the competition next year. The hard work, however, starts now. Once again, thank you and good luck. That's very heartening to hear. Prepare for next year's competition now. Time is of the essence. Hello, Mimi. Thanks for dropping a line. In the same way you have drawn inspiration from my words, I have found great encouragement from yours. I've just visited your blog; you are such a talent! I urge you to join the BBE next year as I feel everyone should have the opportunity to exoerience what I did on my exchange to Argentina. It won't be easy; the competition is fierce and the vote garnering bit will sap you of energy. The thing is to not give up because the BBE is so worth trying to win. Let me know if you seek any advice or tips. Prepare for BBE 2015 now, not tomorrow. Once again, thank you so much for the encouragement.